Cape Town's history of wine-making started way back when Jan van Riebeeck (the first Commander of the Cape) brought the first vines to our beautiful part of Africa. 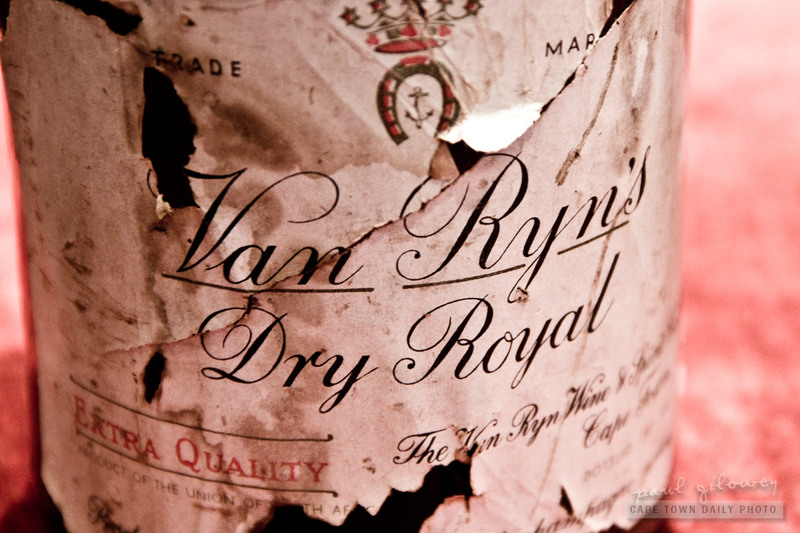 Some 200 years after this, in 1845, Jan van Ryn left Holland, landed in Cape Town, and opened a bottle store in the suburb of Rondebosch. 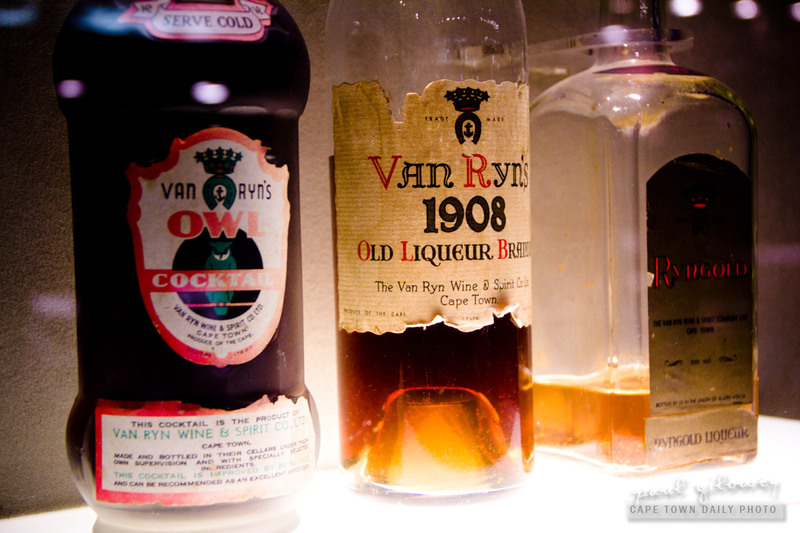 The bottle store eventually evolved into the Van Ryn Wine & Spirit Company, whose name you can see on this 100+ year-old bottle of Harvest Brandy! 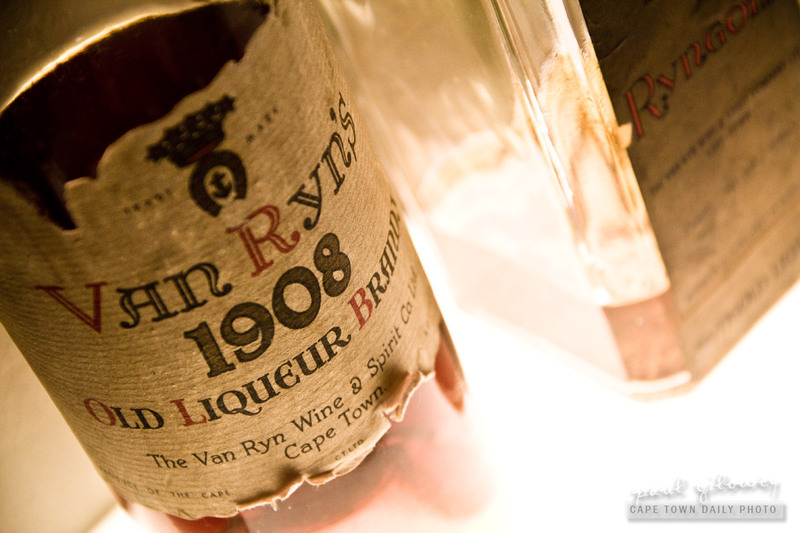 In 1884 Van Ryn's won their first international award; over the years they've won many more, including two gold awards for their 20-year-old Collector's Reserve and another two golds for their 15-year-old Fine Cask Reserve, in 2011. Posted in Activities and tagged brandy tasting on Tuesday, 13 December, 2011 by Paul. 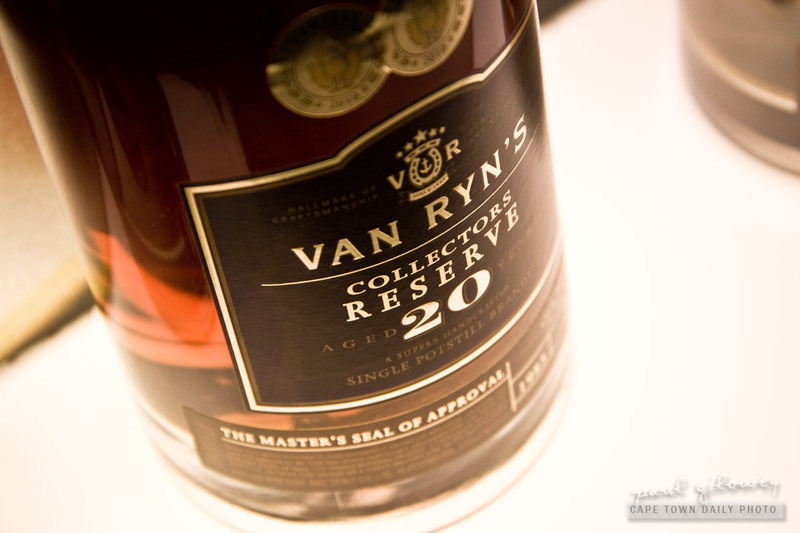 Our visit to Van Ryn's (map) was not only our first visit to a brandy distillery, but also the first brandy tasting that Kerry-Anne or I had ever attended - and I have to say that it was superb. 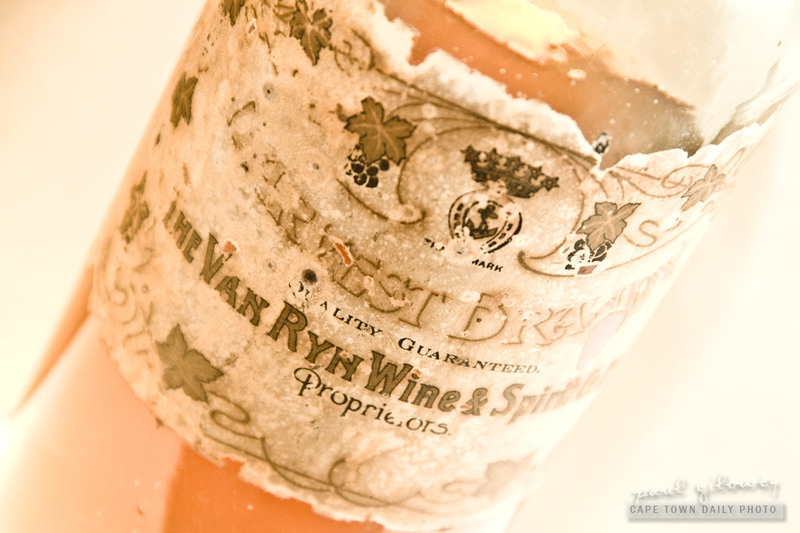 The Van Ryn's website lists several tasting options, and we had the pleasure of the Florentine Tasting, which I highly recommend. The Florentine presents four brandies, a 5-, 12-, 15- and (ultra-smooth) 20-year-old, all paired with delicate florentines (see the first photo below). Jean, our taste-master, started off by explaining how you're supposed to cup the glass in your hand to transfer a little heat into the golden liquid. She then explained how you gently introduce the aroma to your nose, before taking the first sip and appreciating the refined liquid for the gold it is. The atmosphere was sophisticated yet relaxed, and the personal attention - which allowed us to ask plenty of questions - was great. Van Ryn's looks pretty understated from the road, but once you're inside the complex you'll be surprised to see just how beautiful the buildings and gardens are. 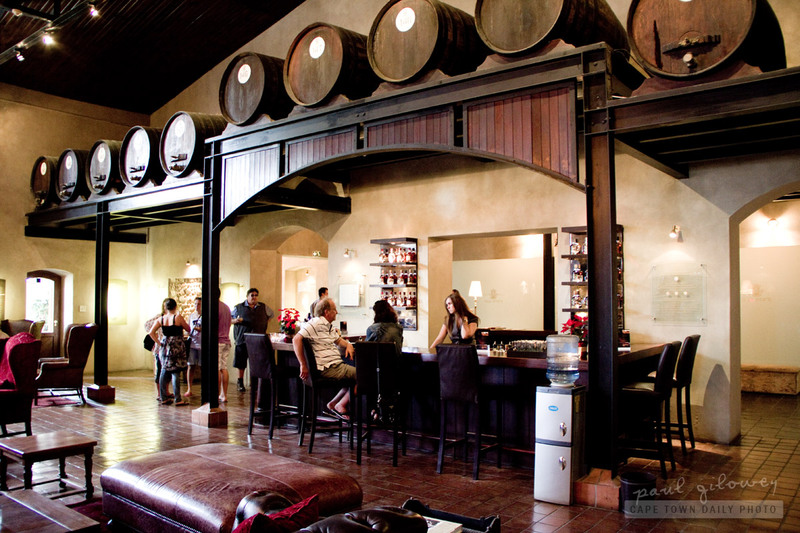 And besides, it's so close to Stellenbosch that it's a shame not to pop in for the short tour and tasting! 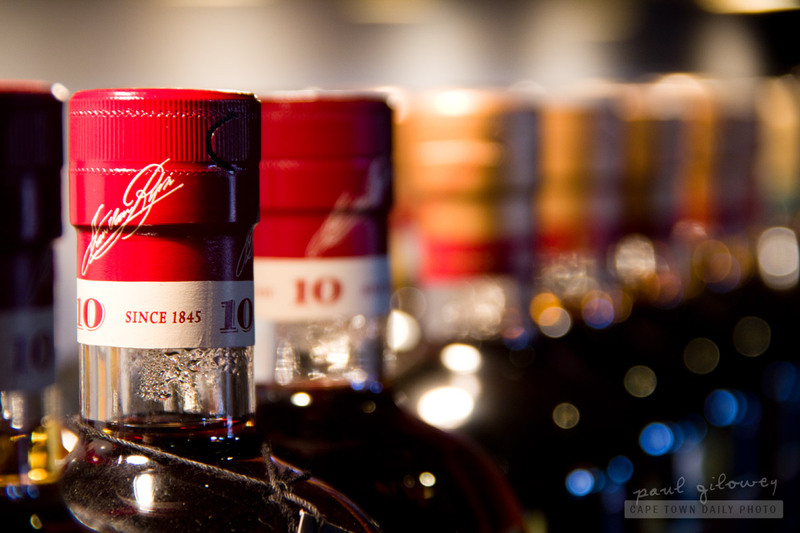 Posted in General and tagged brandy tasting on Monday, 12 December, 2011 by Paul. 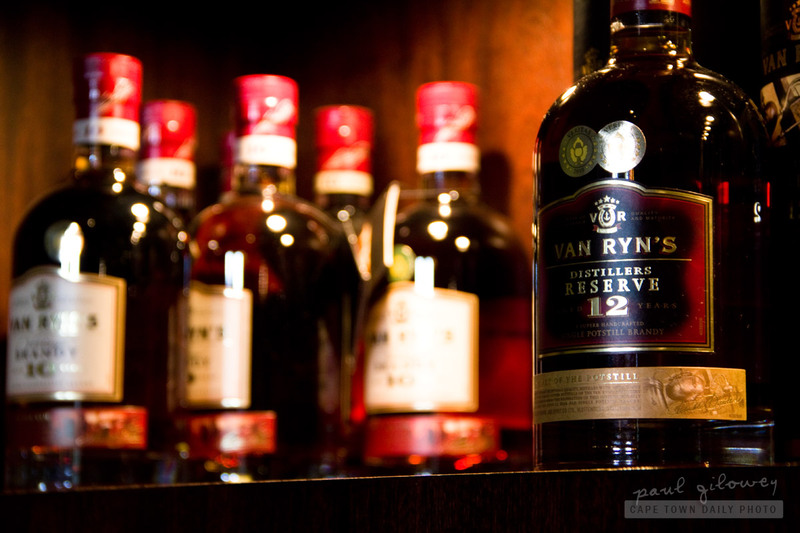 We arrived at Van Ryn's brandy distillery at 11h30, just in time to join the second group of the day for a short tour before our eagerly-anticipated tasting. Jean, our guide, took our little group through to the distillation room where she explained the process by which wine is turned to brandy. We then moved though to the room shown in this photo where Neville Ebrahim, a seasoned cooper, demonstrated the process by which barrels used to be made. Tours start at 10h00, 11h30 and 15h00 on week days except for Sundays and public holidays when the last tour is given at 13h00. 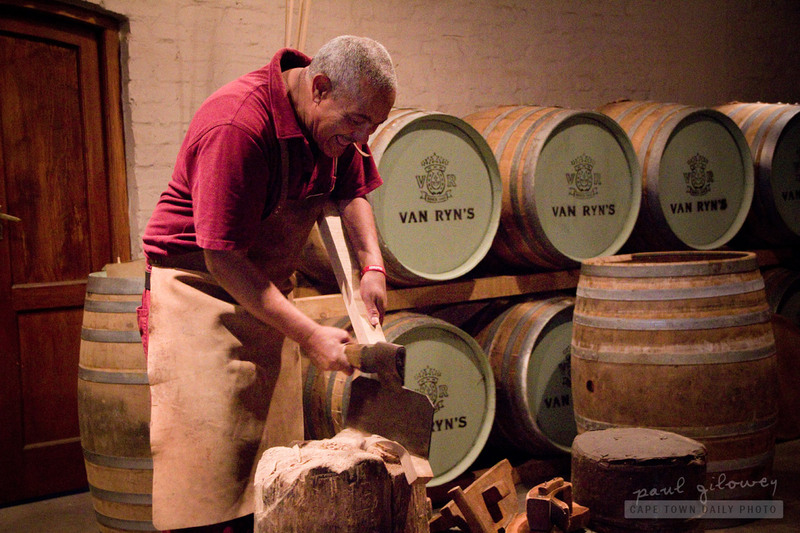 Visit Van Ryn's website for more information about the tastings and tours. 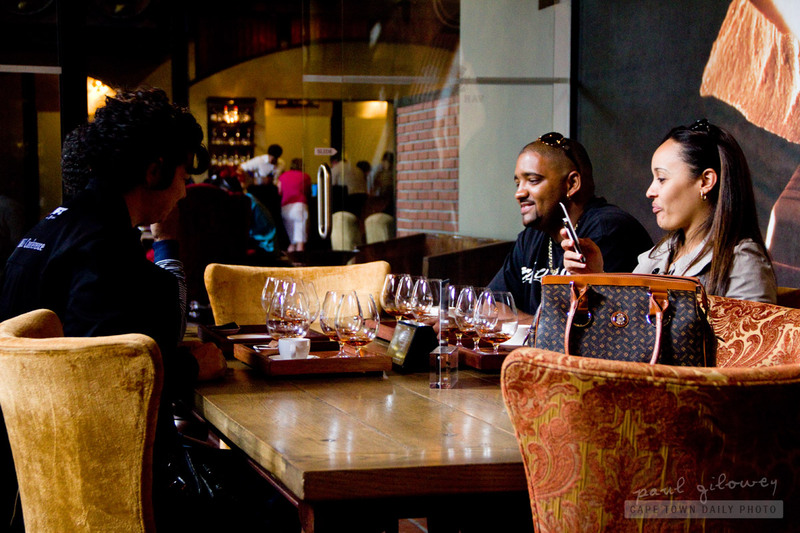 Posted in Activities and tagged brandy tasting, people, stellenbosch on Sunday, 11 December, 2011 by Paul. 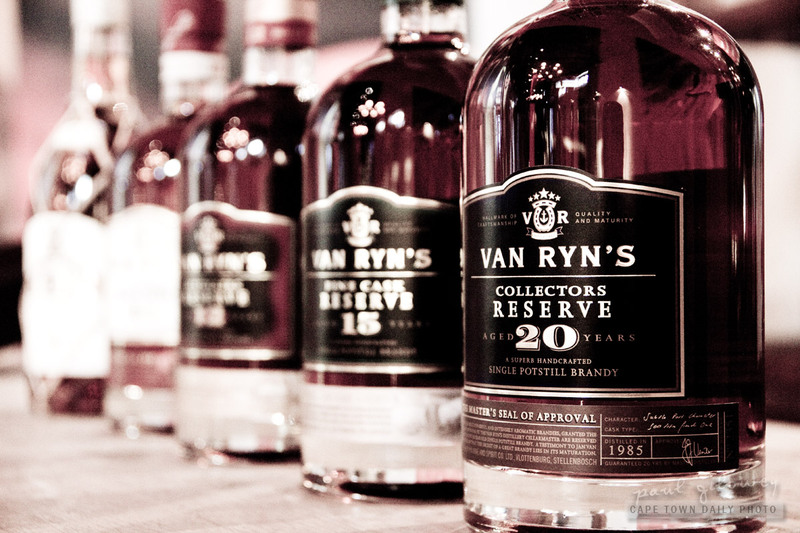 Every time that I visit the well-known Spier Estate in Stellenbosch I drive past the huge Van Ryn's sign inviting passers-by to a brandy tasting experience at the distillery (map). 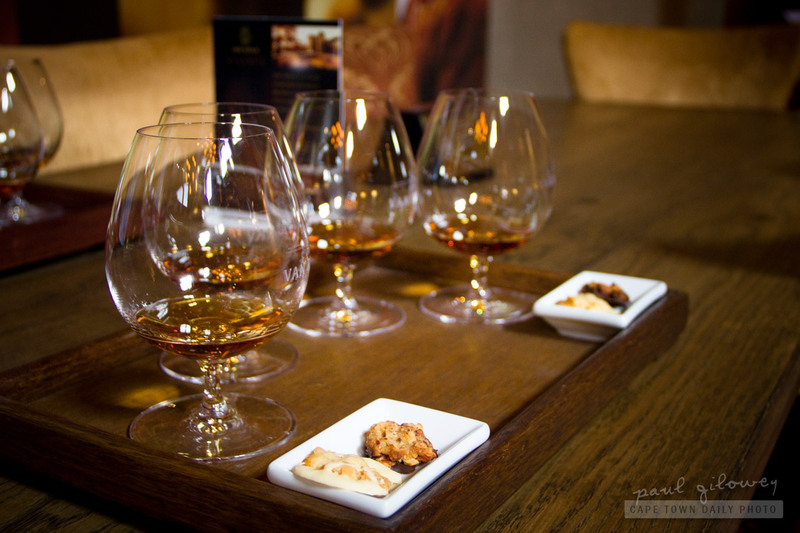 Posted in Activities and tagged brandy tasting, stellenbosch on Saturday, 10 December, 2011 by Paul.